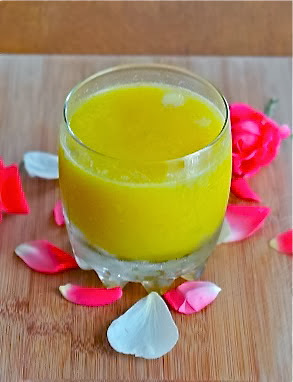 The fall weather is still warm here last week, I still enjoying late summer drinks made with mango and ginger flavored, fresh and spice taste from a ginger well blended in mango juice. Mmmmm....I love that you added fresh ginger! Lovely and refreshing. Spot on on the vibrant color which is another temptation.